Why Use a CABB Broker? In today's business climate, relationships are the key to success. This presentation provides new ways to build rewarding and effective relationships with current and potential clients. Use these unique tools to deepen your strategic partners, deepen relationships and close more deals. Laura helps business professionals make more money... have more fun... using a proven and effective system...That is all about building professional relationships. She has led over 500 workshops and spoken at hundreds of events. Laura A Bruno is a trainer, speaker, business consultant and soon to be author of her first book, 10 Steps to Referral Success. She has been in business since 2004. Laura is a Certified Professional Behavioral Analyst and a Certified Professional Motivational Analyst, which simply means she has spent a lot of time and money getting certified in DISC, the universal language of behavior styles and in Motivators, why we do what we do. Laura helps business professionals build strategic partners to receive more referrals utilizing a proven and effective system for the past eleven years. She leads workshops and offers individual consulting. Review the basic M&A process from start to finish by taking an in-depth look at a real-life case study of a successful small-cap transaction, all the ups and downs included, with Len Krick of Sunbelt Business Brokers. Intermediaries will come away with a deeper understanding of a successful deal step by step, including all of the control systems, forms, and materials required and generated during the process. These resources and materials, which include the target marketing database, marketing letters, teaser and confidentiality agreements, the CBR and valuation, meeting agendas, letters of intent, definitive agreements, and the broker's commission, will be distributed to attendees. Flow diagrams and Gantt charts highlighting the deal process flow and transaction team responsibilities are also shared. 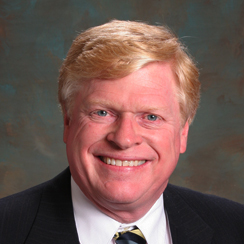 Len Krick, the President and principal broker of Sunbelt Business Brokers of Nevada, Inc, first came to Las Vegas in 1978. He has over thirty years experience with both privately held and publicly traded companies, which includes: consulting, negotiating, turnarounds, bond and initial public offerings, operations, development, and business brokerage. Mr. Krick has exceptional expertise in operational analysis, business planning, and packaging businesses for sale. Len frequently serves as moderator, instructor, and speaker at the International Business Brokers Association ("IBBA") conventions; he is a Member of the IBBA Board of Directors and Chairs its Education Committee. He is one of 22 people to be named "Fellow of the IBBA" since 1982, for his "significant contributions to the business brokerage industry." Mr. Krick received his MBA from University of Nevada, Las Vegas, BA in Economics from Muhlenberg College, and BS in Hotel Administration from University of Nevada, Las Vegas. Len’s goal is to provide the highest level of professionalism, confidentiality, and financial results, while minimizing the time, cost, and stress typically experienced during the transfer of ownership of privately held businesses. In a competitive market, personal branding, if done correctly, will allow you to create a strategic advantage over your competition. Personal branding is the process whereby people and their careers are marked as brands. The process is defined as the creation of an asset that pertains to a particular person or individual. Studies show executives and business owners with strong personal brands have a better chance of success in business. This presentation will provide tools and methods for creating and upholding YOUR personal brand. Elisabeth Fraser Au-Yeung is a seasoned marketing executive with over fifteen years of experience directing Global and US marketing organizations for Professional Services and Technology firms including Sensiba San Filippo, KPMG LLP, Deloitte Consulting, PeopleSoft and Oracle. She takes a passionate approach to serving as "trusted advisor" to CEO's, board members, and senior executives on market strategies, Go-to-Market initiatives and "out of the box" marketing and communications campaigns that directly contribute to revenue growth. She has deep expertise with aligning a firm's marketing initiatives with their "field" goals including revenue growth and brand eminence, that result in firms far exceeding their revenue goals and improving their overall market eminence. As the size and/or complexity of a transaction increases, the need for creative and innovative structuring alternatives also increases. Structuring often requires balancing the buyer's interest with those of co-investors, sellers, managers and lenders. In a transaction, the Seller and Buyer really have similar tax objectives. The Seller desires to maximize after-sale tax proceeds while the Buyer desires to maximize operational cash flow. Tax deductions impact both these areas which are influenced by the tax components of the structure used in the transaction. When negotiating a transaction the Seller and Buyer should not attempt to WIN the tax game but instead should work toward achieving some level of tax parity. Structuring design is what will help the Seller and Buyer achieve tax parity. This presentation will cover simple to complex structuring strategies using real life transaction data. Also included as a part of this presentation will be an update on the status of any relevant tax issues for Year 2014. Monty Walker is a Certified Public Accountant with a diversity of experience in the private closely-held business arena. Monty Supports Entrepreneurial Clients throughout the country. His practice focus is in the Business Transfer Industry providing support to Small Business Owners in the areas of Business Transactions, Business Structuring & Design, Business Tax Planning and Business Exit Planning. He works with Business Sellers, Business Buyers and their various advisors, such as business intermediaries, accountants and attorneys, to manage the unique financial, tax, planning and procedural matters associated with buying and selling a business. Due to his background in the area of business transfers and business transitions he is often referred to by his clients and colleagues as a—”Business Transition CPA”. Additionally, Monty has also owned and operated several of his own businesses. Thus, his experience comes from being directly in the trenches.